If you’re looking for the best interior car detailing North County San Diego has to offer, then look no further. 5 Point Auto Spa will get your car looking and smelling as good as it did when you first drove it home. We spend a great deal of time commuting to and from work, running errands, driving the kids to sporting events and much more. With how busy life can get, its easy for your car to get dirty, so why not let our expert staff freshen up your vehicle up with our interior car detailing package. A messy car can be unpleasant and a hassle to clean. 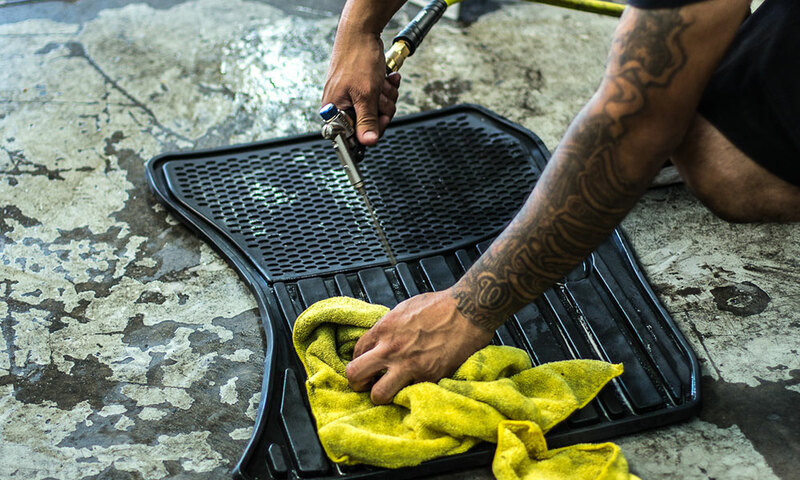 Let our expert technicians get the interior of your car looking its absolute best. Our interior detailing package includes a thorough wipe down of all plastics and surfaces, full vacuum and cup holder cleaning. All your passengers will love that new car smell and look when our staff is finished with your car. Click here to learn how to protect your interior once its been detailed.